Chicago Replacement Windows | Home Windows | Best Windows Inc.
We know summers in Chicago can be scorching hot and the winters bitter cold. 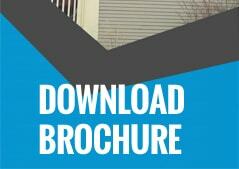 If your windows are not properly installed, insulated or energy-efficient, you could be wasting money on utility costs. A large amount of your heat this winter and your cool this summer could be getting sucked right out the window – literally! At Best Windows, Inc., you will find a wide range of replacement windows that will beautifully compliment your home’s existing decor. Whether you are looking for double hung, bay or casement windows, you can easily find the perfect match for your home and your budget with us. 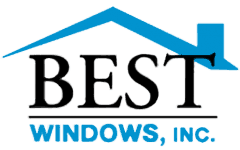 Best Windows, Inc. has been installing a variety of windows to clients in the greater Chicago area for more than 15 years. In fact, the window installers working with us are the exact same ones we had in 2006! We will never try to insult your intelligence by using pressure sales tactics such as “This price is for tonight only!” We keep our prices affordable year-round. Don’t believe us? Just take a look at some of our past reviews! Each of the windows we offer are easy to clean and maintain as needed. They feature a lifetime manufacturer’s transferable warranty and will instantly help lower your energy costs too! All of our windows are made to meet or exceed certain energy savings standards. Whether you are looking for windows that can block 91% of UV rays or those that have an NFRC U rating of 0.27, we have it. Please don’t hesitate to contact us if you have any questions about the line of windows we offer, or if you have any concerns or comments. We’re always happy to talk to you!